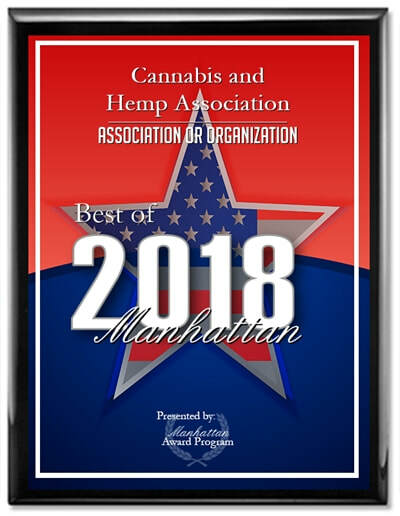 Since 2014 Cannabis and Hemp Association has been a preeminent advocacy group around the NY Metropolitan area. As we move into 2019, our focus has turned into precision torque. We will use our leverage to continue helping aspiring cannabis entrepreneurs and investors to gain a foothold into the industry and we are looking help job seekers find their role as well. In addition to our emphasis on helping the community with education, incubation, and staffing we are creating space for patient enrollment initiatives through partnerships with clinics and medical centers. We feel that our commitment to our supporting businesses can be best be served by building a bridge from the industry to the end users and through this initiative we believe our strength will allow us to help impact cannabis and hemp policy. Our goal by 2020 is play a role in Government relations, an area we have yet to broach. We recognize that the policies that govern the industries we serve are critical and we seek to be an influencer sooner than later in this area. For companies interested in working with CHA, we take a personal approach to our Membership getting to know each and every person and company, their goals and reasons for joining the association. We enjoy working to make our Members satisfied and to get the most from the CHA. Our goal has always been to be a force that uplifts the whole industry and helps companies work together to achieve real results that impact the bottom line. We also support our Members' in helping them find their path within the industry through our event platforms and educational opportunities. We've sustained and built on our stellar reputation over the last several years and now we see tremendous opportunity moving forward as this great industry becomes more mature, so have we. So join us, it's FREE as an Affiliate, learn what we're about and then please Join Us as Member. I'm sure you'll be happy you did.